We’ve done some feasting these days leading up to the actual turkey day! 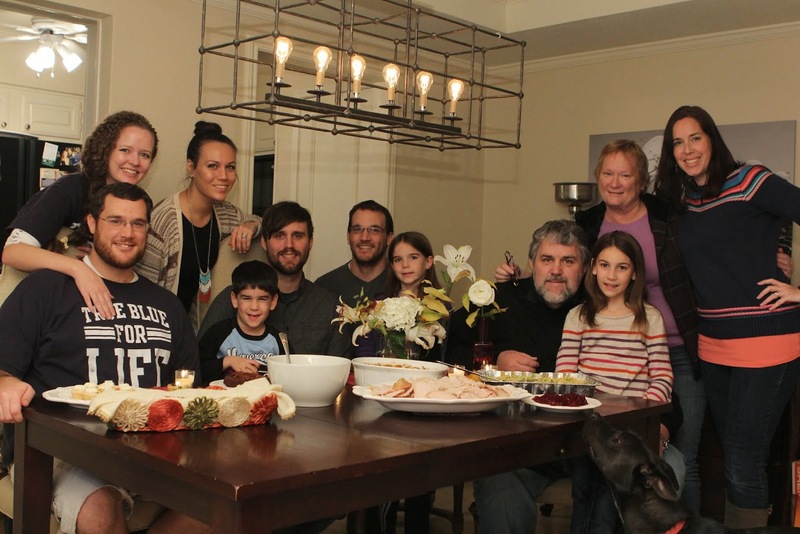 What a blessing to have numerous opportunities to give thanks together with friends and family! 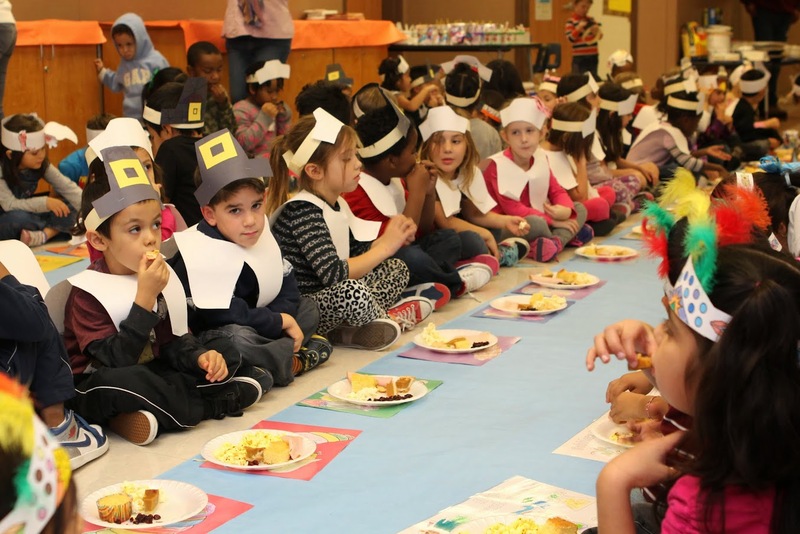 2nd grade Thanksgiving at school! 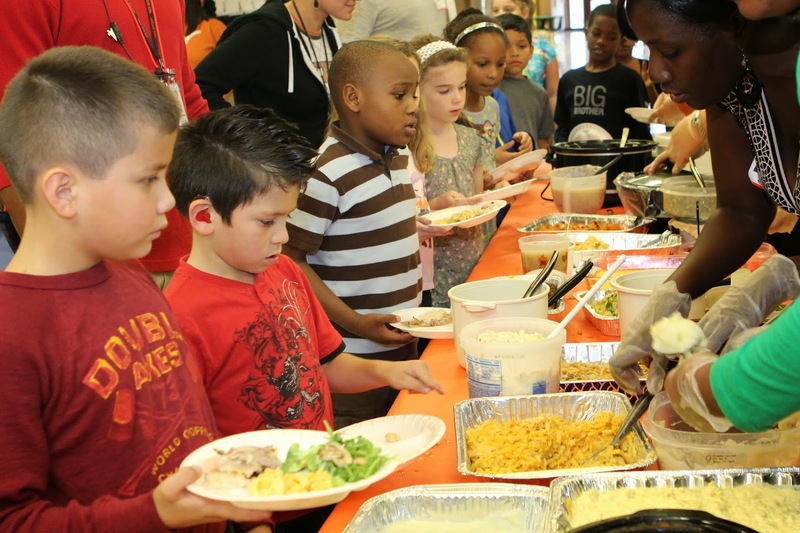 We had a church group Thanksgiving feast on Friday night with about 100 people (including kids)! And on Saturday morning, we drove up to DFW to celebrate Thanksgiving with James’ family. 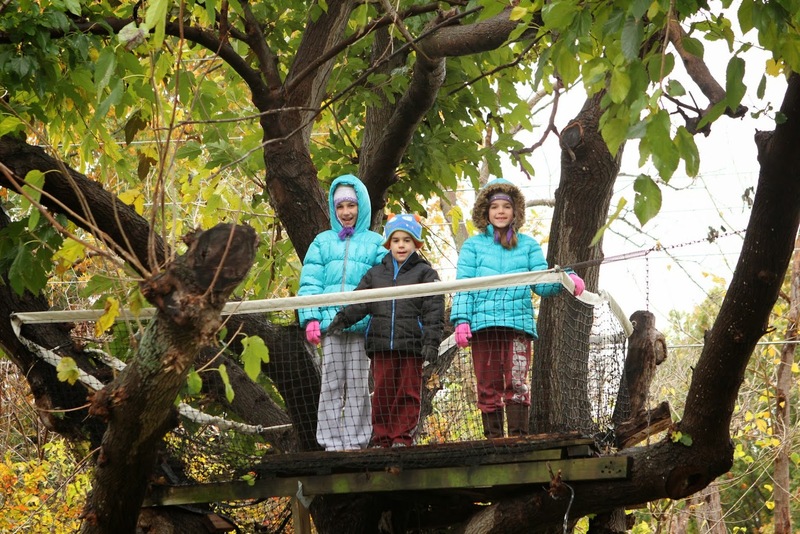 It was freezing cold (and still is!) 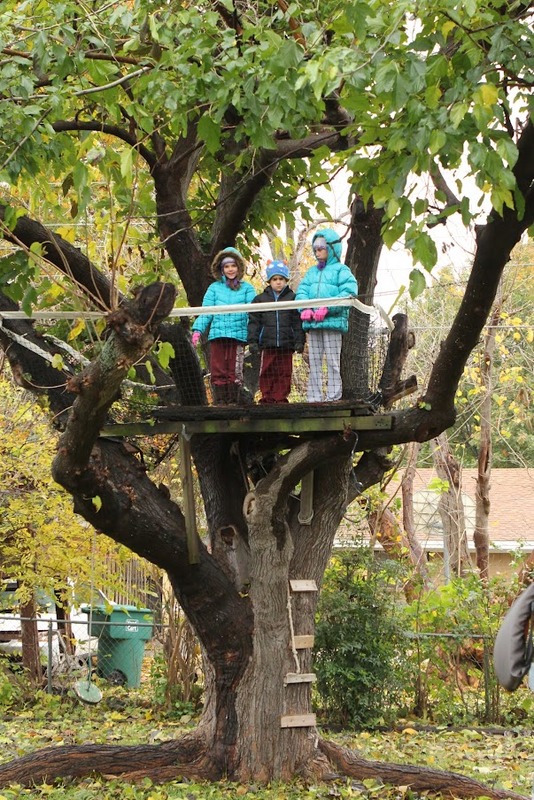 for November, but that didn’t stop my kids from playing outside in Oma’s tree house! Ben and Braden hosted this year at their house. It was so relaxing and a Cowboy win topped off the day nicely! That evening we played charades and Rilyn loved a game where everyone could watch her perform her heart out! 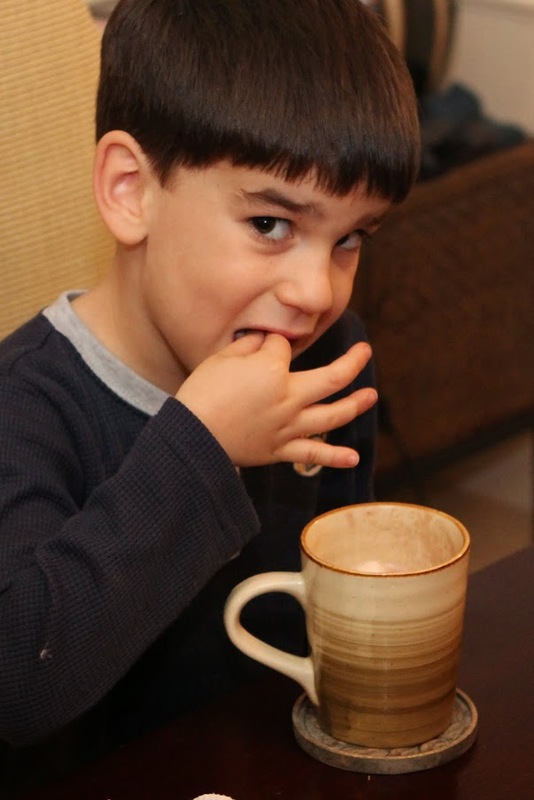 mmmm, first hot chocolate of the season! Asher loves the marshmellows the best!